Located inside the East Fort in Thiruvananthapuram, the capital city of the State of Kerala in India is the Sree Padmanabha Swamy temple dedicated to Lord Vishnu. This temple is a blend of the Kerala and Dravidian styles of architecture. The history of Sree Padmanabhaswamy Temple dates back to 8th century. It is one of the 108 sacred Vishnu temples or Divya Desams in India. Divya Desams are the holiest abodes of the Lord Vishnu that are mentioned in the works of the Tamil Azhvars (saints). 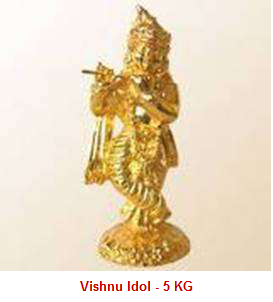 The presiding deity of this temple is Lord Vishnu, reclining on Anantha, the hooded Serpent.